The Jaguar XF Sportbrake wagon will be officially introduced during this year's Wimbledon series. Sharing its design cues with the regular XF sedan, the Sportbrake will rival the likes of the Mercedes-Benz E-Class Estate and the Volvo V90. 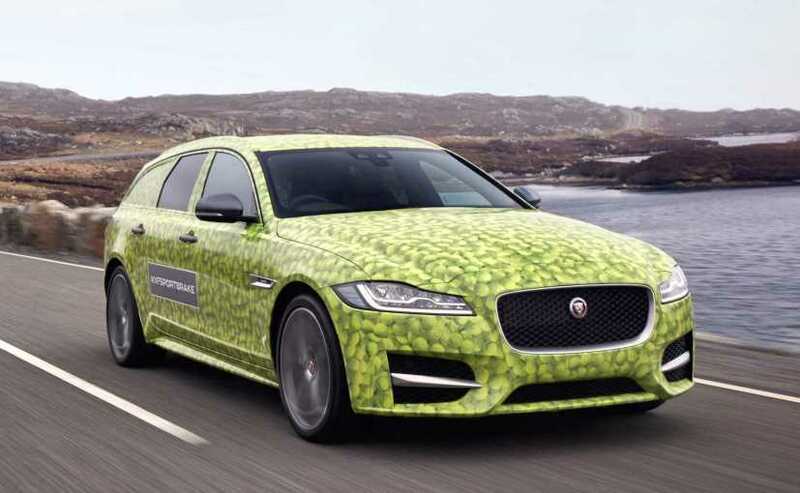 It was just last month when we told you about the upcoming Jaguar XF Sportbrake wagon which is set to be introduced during this year's Wimbledon series. The company is one of the main sponsors for this season. 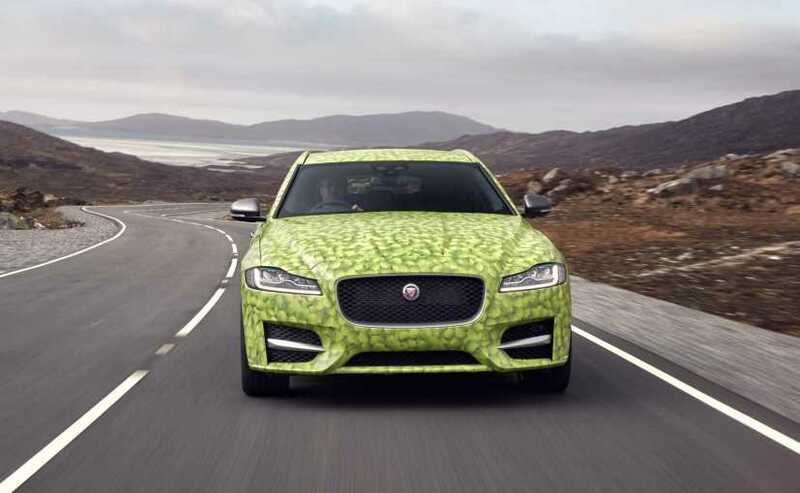 Ahead of its official debut, the British carmaker has now released a set of images of the Jaguar XF Sportbrake wrapped in a unique 'tennis ball print' camouflage as part of its promotional campaign. In fact, last month, the carmaker released a special teaser video which shows the outline of the profile of the car marked on the Wimbledon centre court. 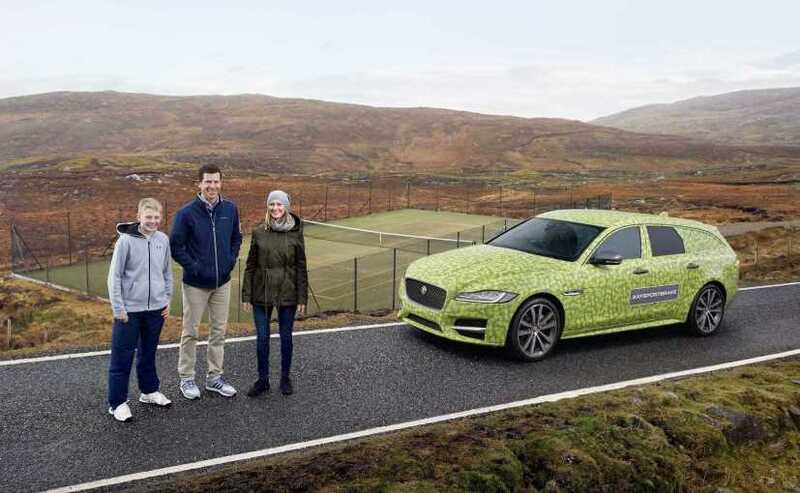 As part of its ongoing campaign, Jaguar drove the new Jaguar XF Sportbrake prototype from its headquarters in Coventry to the Bunabhainneadar Tennis Court on the Isle of Harris in Scotland, which is currently touted as the world's most remote tennis court. Behind the wheel was none other the retired English tennis player Tim Henman, who is also Jaguar's brand ambassador. He was accompanied on this journey by a fan named Susan MacCormick. Evidently, Jaguar came to know about this special tennis court when Susan tweeted about it tagging British tennis player Sir Andrew Barron Murray a.k.a. Andy Murray, who also has been associated with Jaguar. When Murray replied back asking whether the court was for real, Jaguar decided to find out by sending Tim Henman with the new XF Sportbrake. Talking about this special road trip, Henman said, "The Bunabhainneadar Tennis Court looks unreal, so I can see why Andy doubted Susan's original message. We've proven that it really does exist now and the road to the court was the perfect place to try out the new XF Sportbrake as it mixes amazing scenery with some challenging corners. I can't wait to drive the car again - perhaps a bit closer to home." The Jaguar XF Sportbrake will share its design cues with the regular XF sedan and will share some of the features and equipment as well. More details about the specification and features will be revealed next month after the car's unveiling. As for the powertrain options, the XF Sportbrake will come with a 2-litre or 3-litre diesel and fire breathing 3-litre petrol engine along with the latest 2-litre Ingenium petrol. Power outputs will range from 160 bhp to 375 bhp and transmission duties will be handled by a 6-speed manual and an 8-speed automatic gearbox. Although India has never conventionally been a station wagon market, with the likes of Volvo about to launch the new V90 Cross Country in India and the likes of Mercedes-Benz and Audi both considering a similar product offensive, Jaguar could spring a surprise by bringing the rather pretty XF Sportbrake to India too.